Major Nelson tweeted out the list of January 2019 Games With Gold this morning and it will be a mix of games that should make some folks happy. 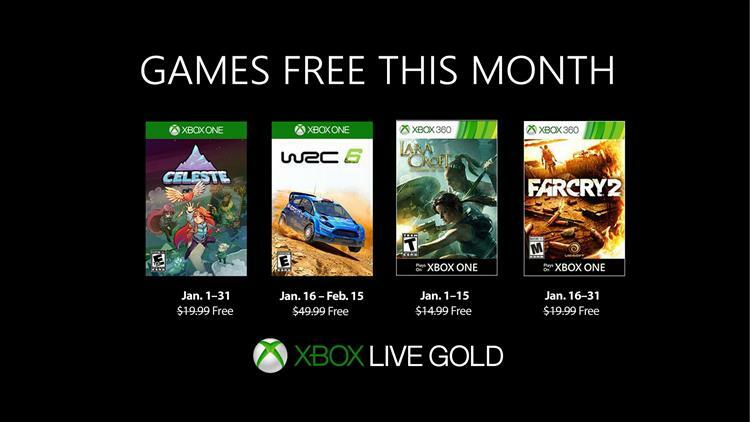 It starts with the Award winning Celeste for the month of January, and Lara Croft: Guardian of Light for the first half of the month. Those are followed with WRC 6 and far Cry 2 in the back half of January. That's a combined ERP of over $110 this month, so not to bad. Below is the list of the dates the games will be available, and you can learn more about them on the official release at Xbox Wire.